Marlin the dog first went missing during his owner’s flight connection layover, and was only found after reports that an animal had been seen loose around the airport buildings. The owner, Amelia Clayton, 22, is originally from the UK. 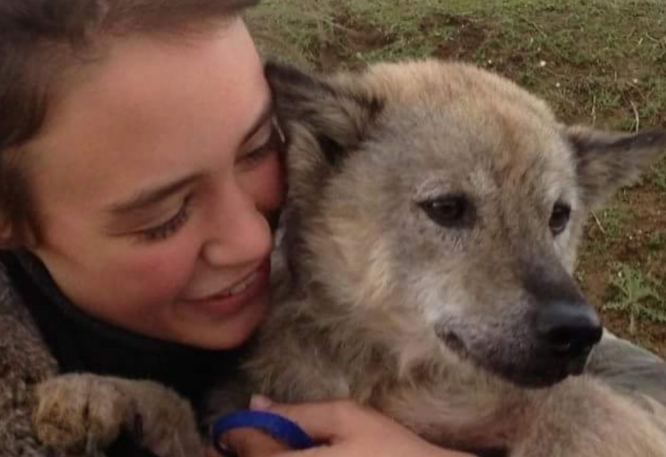 Since Marlin went missing, she had delayed her travel plans and had been sleeping in the airport, with very little money, to help continue the search. Ms Clayton had been in the airport en route back to the UK, having rescued Marlin from Vietnam, where the animal was being raised for dog meat. It was during the layover that Marlin disappeared. Ms Clayton explained that all her spare money had been used to make sure Marlin’s immigration papers and legal documents were in order, and had been devastated to discover she was missing. 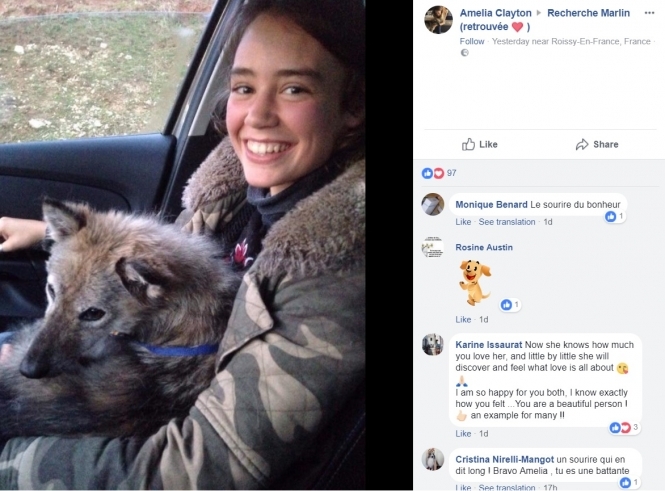 When reports came in that “a grey dog” had been noticed around the airport, Roissy animal handlers - specialists at dealing with lost animals - drove Ms Clayton to the reported area. A Facebook group that was set up to help the search, “Recherche Marlin (Find Marlin)”, has 574 members, and has now been renamed “Recherche Marlin (Retrouvée <3) (Find Marlin (Found <3))”. Hundreds of messages of support have poured in from those who had followed the story. In a message on Facebook, Ms Clayton thanked all the airport staff who had helped, and wrote: “I’m speechless and absolutely overwhelmed with happiness and gratitude for all you incredible people who have dedicated yourselves to helping me find my little Marlin. I've never met such beautiful, inspiring people in my entire life. This week, Ms Clayton’s parents are arriving at Roissy to help bring their daughter and her dog back home as intended, pending veterinary approval.